This health insurance review if for the Phoenix Health Insurance Company, also known as the Phoenix Health Plan. The Phoenix Health Plan was founded in 1983. As a plan, that is part of the Arizona Health Care Cost Containment System, the Phoenix Health Plan services nine different counties in the state of Arizona. The parent company of the Phoenix Health Plan is Abrazo Health Care, which is one of the largest health care systems in all of Arizona. Abrazo Health Care has a total of six hospitals within its system. 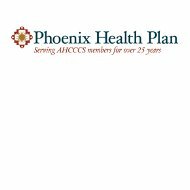 There is no additional information on regional offices for the Phoenix Health Plan. However, there is an online search tool that allows individuals who are covered through the Phoenix Health Plan the ability to search for providers. The Phoenix Health Plan offers a variety of health insurance products to families that are qualified for the plan. Only families that are enrolled in the Arizona Health Care Cost Containment System are eligible to be insured through the Phoenix Health Plan. There are many physicians, hospitals, dentist, labs, pharmacies, and providers of transportation available through the Phoenix Health Plan. In addition, members have the ability to call a nurse on a dedicated Phoenix Health Plan nurse hotline 24-hours a day, seven days a week. The Phoenix Health Plan is just one of the many plans available to families that are part of the Arizona Health Care Cost Containment System program, and can be chosen during the application process. Because the Phoenix Health Plan serves an extremely diverse population, their core mission and values reflect their customers’ needs and requests. Focusing on the individual, Phoenix Health Plan providers accommodate for and understand that certain beliefs about how to prevent or treat an illness, as well as the cause, might come into play. In addition, religious beliefs and the involvement of family members are always paramount during any care plan or treatment program. The Phoenix Health Plan always offers translation services, as well as a bi-lingual customer service staff that is available at all times. The providers at the Phoenix Health Plan feel that there is a wellness component involved in a care treatment program, and that starts with the individual taking care of themselves even before an illness has set it. Making sure that their patients eat correctly, exercise when possible, and maintain a proper balance of emotional and physical well being will all contribute to a healthy life and lifestyle. The Phoenix Health Plan providers also encourage their patients who are parents to lead by example with eating right and exercising in front of the children. Finally, making sure the individual has the resources available within their community to allow them to continue their care plan after an initial diagnosis has been made is equally important to the providers of the Phoenix Health Plan. The Phoenix Health Plan has a dedicated webpage for individuals interested in working at the company. The job search function allows applicants to look at all the different positions that are open; however, the listings are all the open jobs throughout the Abrazo Health Care System, and not just the Phoenix Health Plan. When an interested applicant clicks on a position they are interested in, a new window with the details, responsibilities, and educational and experience qualifications open. In addition, applicants can use the job agent function to create a unique profile that can be used to apply for different positions. There is also detailed information on the working culture at both Phoenix Health Plan and the Abrazo Health Care System, which includes the different activities that employees can participate in as well as the different types of teams that make up the environment at the company. The Phoenix Health Plan follows a certain set of principles that they expect their employees to embrace and adhere to.